Amazon.com Inc will launch its business loan program for small sellers later this year in eight more countries including China, where credit is becoming a key factor in competing for new vendors and grabbing market share. Until now, the e-retailer has offered the service only in the United States and Japan. Amazon Lending, founded in 2012, now plans to offer short-term working capital loans in other countries where it operates a third-party, seller-run marketplace business, the head of Amazon Marketplace, Peter Faricy, told Reuters. The countries are Canada, China, France, Germany, India, Italy, Spain and the United Kingdom. 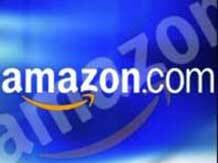 The service is on an invite-only basis and is not open to all sellers on Amazon’s platform. Other large retailers including eBay Inc’s PayPal and Alibaba Group Holdings, which run third-party marketplaces, are also turning to credit to boost their vendor base. Some lending industry officials who help lenders assess credit risk say these retailers are taking on risky loans because they don’t know the shape of the credit market in which the sellers are operating. Small businesses have high failure rates, especially in China and India. Amazon said it can safely offer loans based on internal data and because it takes loan payments out of the sales proceeds it pays sellers. PayPal spokesman Josh Criscoe said eBay merchants who use PayPal are eligible for the working capital loans and credit is offered to only those customers that have a strong PayPal sales history. PayPal has provided more than $500 million in capital since September 2013, with an average loan disbursement of $2 million per day. A spokeswoman for Alibaba’s financial services arm Ant Financial, which offers these loans, said credit is offered to Taobao, Tmall merchants and other small business owners who meet certain conditions. The company also offers such loans to customers in some countries like the United States and Britain. Since 2011, Ant Financial’s Ant Micro Loan programme has issued 400 billion yuan ($64.42 billion) worth of loans, and the non-performing loan ratio is 1.5 per cent, the spokeswoman added. Amazon offers three- to six-month loans of $1,000 to $600,000 to help merchants buy inventory. It makes money on interest and takes a cut of all sales on its marketplace, which now account for about 40 per cent of total Amazon site sales. Amazon said it has offered hundreds of millions of dollars in loans since 2012, with more than half of its sellers opting for a repeat loan. The company declined to provide specific figures and also did not say how much it plans to lend this year. Amazon’s Faricy said the company has become better at understanding the inflection points in a small or medium business where capital can make a difference. Mitigating risk: Online lending accounts for about 3 per cent of the roughly $1 trillion of outstanding personal and small business loans in the United States. The default rate for small businesses with credit under a $1 million stood at 1 per cent in 2014 but is seen rising to 1.6 per cent in 2015, as new lenders with varying ability to assess risk increase lending, according to small business credit ratings provider PayNet. Amazon said it has the information it requires to make “great loan decisions” because of close relationships with sellers and that it mitigates risk by taking loan payments from proceeds due to sellers for their sales. Sellers interviewed by Reuters and writing on Amazon forums cited interest rates on Amazon loans ranging from 6 per cent to 14 per cent, in line with loans from banks and business credit cards.